Do you want to have a simple phone to use to talk that does not cost a fortune? You have a few options other than having to pay good money to a major carrier and get expensive or unreliable service. A great option is using a burner phone. 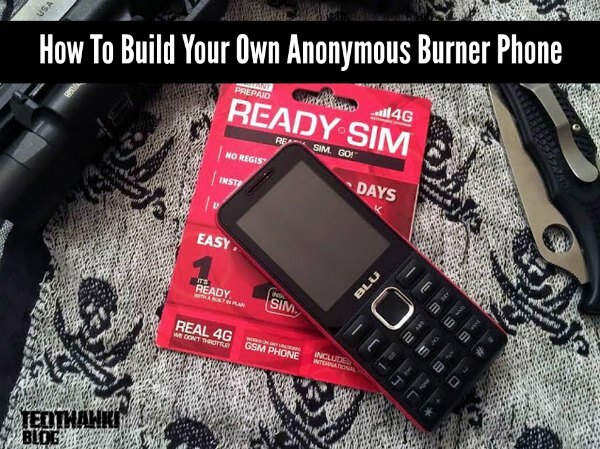 You can easily build your own anonymous burner phone for as little as $35 using the least expensive phone and SIM card which is really all you need. The key to being able to build your own anonymous burner phone is using the right equipment. One of the most important items to have for this project is a GSM cell phone that is unlocked. You can look on Craigslist or other online sources to find a used phone. A Ready SIM card is also used to build your own anonymous burner phone. You can find these on Amazon that range from three days to a full week, depending on what you want to pay. Many will have test and up to 500 MB of data.